This year Chase chose to be a pirate for Halloween! 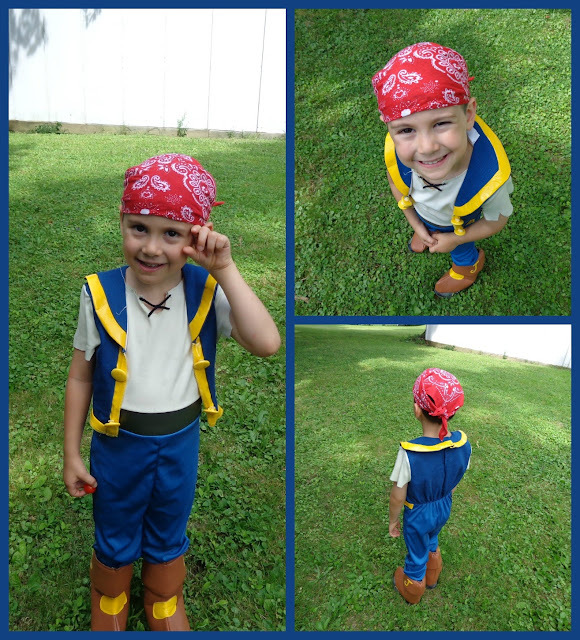 He adores the show, Jake and the Neverland Pirates so he chose this costume from Halloween Adventures. He definitely looks like Jake!